Latham coached a premiere United States Volleyball Association club for five years with teams advancing to nationals every year. She left the world of coaching in 2003 to finish her Ph.D. in Sport Psychology, and served as the Chairwoman and Professor of Sport Science at Oklahoma City University for five years. She feels that team building maximizes potential because the team is focused on common goals. Not only does the practice of team building minimize conflicts, it will also make the season more enjoyable for the players. Latham finds that coaches only 5-10% of practice time on team-building exercises. It’s not hard to implement the process of team building—it can consist of games or activities, or drills that will sharpen focus. These team building practices will help the team set goals, clear communication, improve positive imagery, build motivation and confidence. 1. Balloon Train: Have twice as many balloons as you have players. Set up a slalom course using 4-6 cones and obstacles—zigzag the cones 5-10 yards away from each other. The players line up in straight single file line with inflated balloon between their navel and the back of a teammate who is in front of them. The players walk through the course together as a team without busting balloons. Afterwards, have each player shares one thought on the activity. “The activity requires working closely together to achieve a common goal,” Latham says. Latham strongly recommends that the coach works with team members to determine the proper team building activity—a strategy that is effective with one team may not work with another. She says the role of the coach is to facilitate discussion and keep the activity on track. “Focus on solutions, not the problems,” Latham writes. I like what you said about how team building activities can improve clear communication and build motivation. I’d imagine that it would be difficult to keep a team’s motivation up after a period of time. Maybe they could do something fun that could excite them and improve their communication. 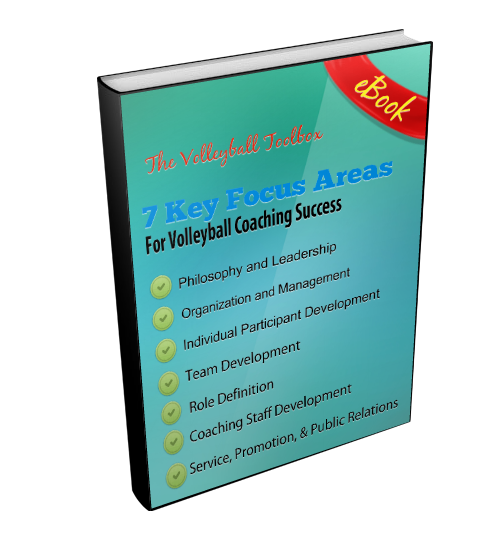 to Our 7 Roles of a Coach PDF! A short report that defines the 7 ESSENTIAL areas that every coach needs to master to run a successful program!